We’re now fully into 2018, and while the excitements of 2017 seem like a lifetime ago, 2018 promises to be another exciting year full of developments and innovations, especially in the education sections. 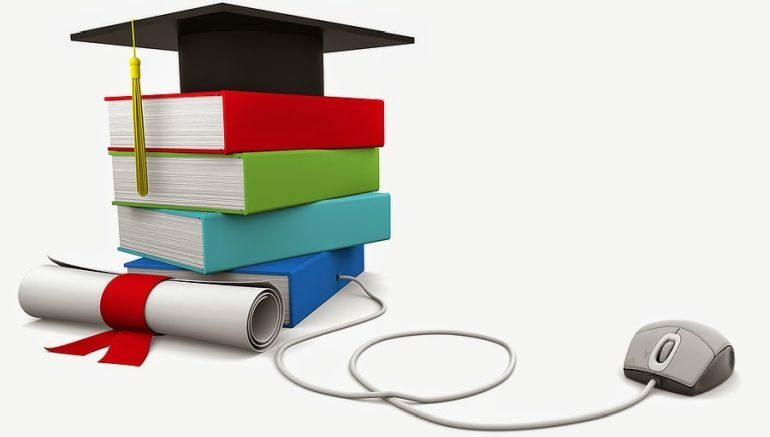 New technologies, including AI, new educational software and platforms, e-learning courses and much more have all been developed to be more advanced and sophisticated than ever before, but what are the effects of these technologies going to be on the current – widely regarded as outdated and old-fashioned – education system that is still implemented around the world. Today, we’re going to explore the ins and out of these new developments so teachers, educators, and interested individuals can have an idea of what lays ahead. It’s common knowledge that every student learns in a different way, whether you’re simply categorizing them based on visual or cognitive learning, or more in-depth and realising that every student is unique. While the current systems mean that a teacher can teach 30-odd children, in the same way, a development in education systems means that more and more students will be able to benefit from a more personalized style of learning. A more personalized style of learning means that students will be able to learn to the very best of their abilities, rather than having to worry about being worst in the class or trying to keep up” shares Tina Page, an educator working for Academized. Thanks to platforms such as Google, learning the actual information you need to get through life, from a simple maths equation to how rocket science works, is right at our fingertips, and young people know this. However, it’s up to educators to embrace this trend and development and start teaching children the skills they need to be able to teach themselves using the technology that’s available to them. Due to the instant nature of information, children are losing their problem solving and logical thinking abilities which is why it’s so important to ensure that educational facilities are harnessing these skills. If you’ve been on the internet recently, it’s pretty hard to miss the fact that online courses are a big deal. No matter what you want to learn about, whatever the topic is, you can be sure there’s an online course out there that you can pay for or access for free that will teach you everything you need to know. While these are typically available for adults who wish to learn something in their free time, there is more and more emphasis being implemented into how these course and e-learning platforms are able to benefit children who are in the education system. Services like E-learning Industry and Big Assignments are already starting to implement customized e-learning packages for children, and we’re sure that it won’t be long before big companies, private developers and public organizations start creating and implementing these courses into schools, colleges and universities. Since everything is heading in a digital direction, schools and education facilities are being able to save more money and make their content more accessible by uploading their content to the internet. This is making textbooks and other forms of book redundant. The vast majority of children have access to a computer at home, perhaps even their own one, as they will access to smartphones and tablets. While this may sound rather scary to the traditionalists reading this, there can be some benefits. Most notably is the fact that the technology can be developed to help bring classes together. For example, a teacher could be asking a question to the whole class where the students then vote for the answer using their smartphones. Students can also interact with media from their smartphones alongside what the teacher is telling them, making for a much more immersive classroom experience. While this may sound like a long way off – surely not this year – writing services like State of Writing and Via Writing have already begun their conversions of hard content into a digital format. Typically, a traditional education system means children are sitting in front of a teacher while they recall information that they are supposed to remember and repeat. This is the basics of today’s education. However, new developments mean these roles are changing. Most notably, students are taking control of their own learning (as you can see from the points above) and teachers are adopting more of a guiding role, allowing students to reach their full potential. As you can see, 2018 is a big year for education and as technology is evolving more and more rapidly, so will the changes in the classroom, so expect big and exciting changes that will contribute to the future of the planet and society as we know it.